To land in jail is a big problem. However, there is still hope that one can have his or her jail term completely or partially commuted. How? 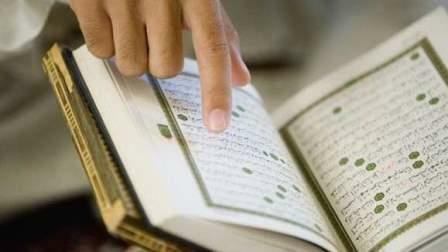 By simply memorising the holy Quran; parts or in full. The Dubai International Holy Quran Award (DIHQA), marking the 63th course of its 16-year-old Quran memorisation programme for the punitive & correctional institutions in Dubai, announced that the jail terms of 2,950 inmates, excluding murder crimes, have been cut for different periods. The pioneering scheme, launched by His Highness Sheikh Mohammed bin Rashid Al Maktoum, Vice-President and Prime Minister of the UAE and Ruler of Dubai in 2002, has significantly helped correct the behaviour of so many prisoners, and enlighten them about the merciful teachings of the Quran. Ibrahim Mohamed Bu Melha, advisor to the Ruler of Dubai for Cultural and Humanitarian Affairs and Head of DIHQA Organising Committee, the programme offered inmates a precious opportunity to start anew, be good citizens, behave well, and make good use of their time during their jail terms, and thereafter. Official records show that over 2,950 inmates have been thoroughly pardoned or have had their imprisonment commuted thanks to the programme launched in 2002, he said. "Apart from the full pardon and release decrees, up to 981 decisions have been issued to reduce the jail terms for six months, along with 1,006 for commuting the same for one year, 626 for five years, 208 for 10 years, and 51 for 20 years." Bu Melha had, meanwhile, ordered cash prizes and certificates of appreciation for all inmates. "What adds more inspiration to the concluding ceremony was the conversion of a female inmate who memorised the Quran in full, and is scheduled to fly out of the country within few days."